Bridge the gap between request and fulfillment more efficiently. Any stage in your supply chain, forward or reverse. Managing returns effectively allows you to recapture value or reduce write-offs, while keeping your customers happy. Quest International will help you design, plan, and implement a supply chain program that supports your profit goals and provides you the maximum value for your assets. Many corporations are now looking to outsource to a single partner who will assess, design, build, run and measure integrated comprehensive supply chain solutions on their behalf. This evolution in supply chain outsourcing is Fourth-party Logistics or 4PL. As a 4PL partner, Quest focuses on the design and execution of business processes and oversight of the moving parts of a business' supply chain. Quest assembles and manages all resources, capabilities and technology of an OEM's Supply Chain and its array of providers. 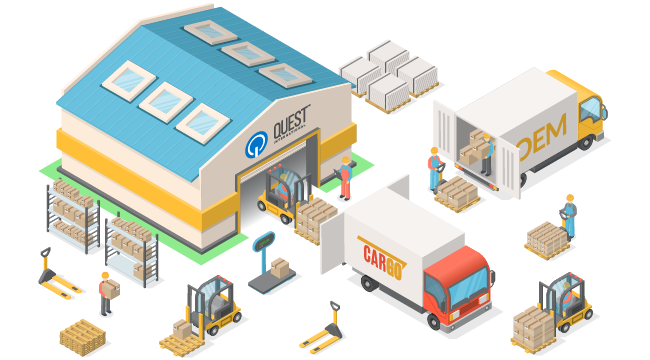 As a third-party logistics partner—Quest manages warehousing and shipping products on behalf of the device manufacturer. With Quest partnership, your logistics needs will be delivered with transparency, traceability and dependability. 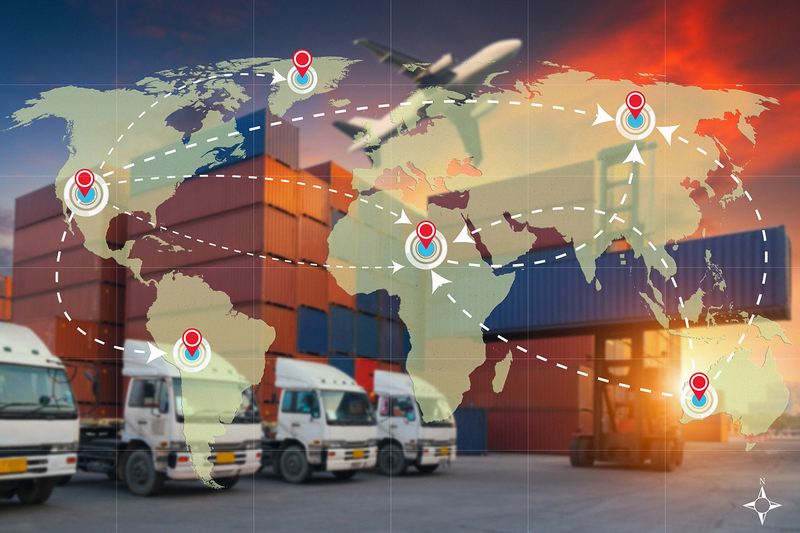 Third-party logistics outsourcing is a common business practice for companies looking to augment their current logistics operations, or outsource specific processes. Reverse logistics provides one of the biggest operational challenges for OEMs. Quest has the expertise, the systems, and the industry experience to ensure that your business doesn't forfeit value as goods flow back from your customers. Quest Reverse Logistics services can help your internal product support team with a number of services that help hold down costs as you expand into new geographies or markets, reduce administrative burdens during volatile staffing periods or optimize overall operational efficiency. As a flexible, scalable services company – Quest can respond quickly to your changing needs, and provide the additional bandwidth or expertise necessary to bridge gaps in your internal resources. Quest’s supply chain logistics services helps companies manage their products and parts with traceability in compliance to regulatory requirements. Quest’s global depot and logistics centers become an extension of our customer’s facilities, allowing them to make real time business decisions from anywhere in the world that impact their own supply chain as well as their customer’s experience. Quest's global warehousing capabilities give you the flexibility and freedom to deliver your products to customers, or to receive returned products from them, efficiently and cost-effectively. 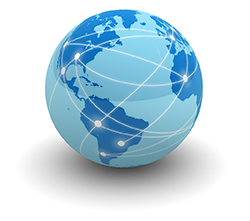 Our global network and resources put our warehouse facilities and your inventory – including parts and product – close to your customers. That helps reduce shipping time and expense, while speeding fulfillment in both directions along the supply chain. 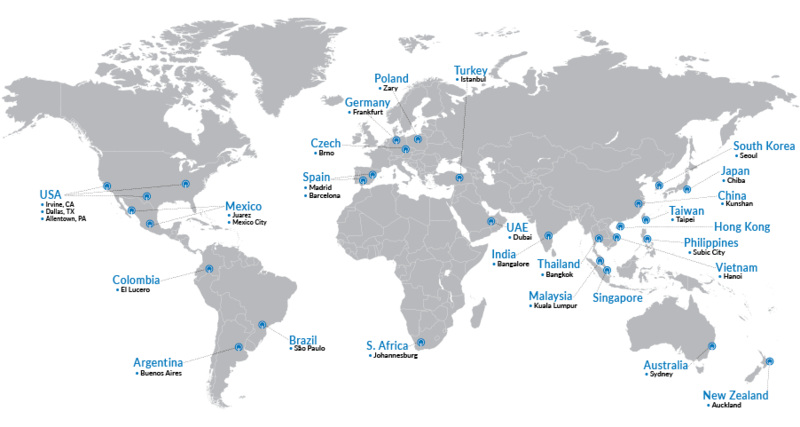 Quest has far reaching locations worldwide to serve our customer's needs. From our headquarters in Irvine, CA we can coordinate depot repair services at any number of locations worldwide, all on a moment's notice.